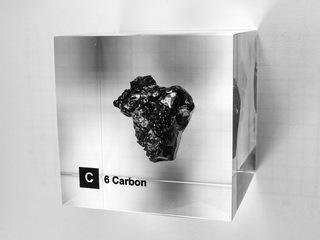 Carbon has been known since prehistoric times. 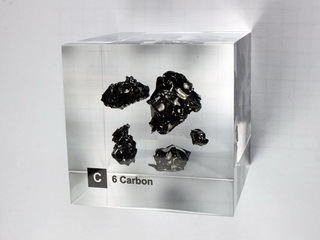 Carbon occurs naturally in two allotropic forms, namely graphite and diamond; the discovery in 1985 of fullerenes has increased the number of allotropic forms of this element. Its abundance in the Earth's crust is 480 ppm. The study of carbon and its organic compounds is the basis of organic chemistry. 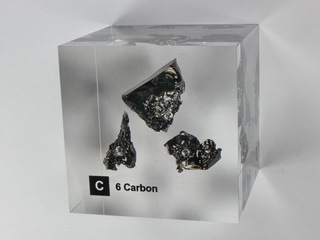 The applications for carbon are many and include its use as an alloying element with iron in the manufacture of steel, its use as brushes in electrical generators and motors, the use of colloidal graphite or carbon to coat surfaces (e.g. 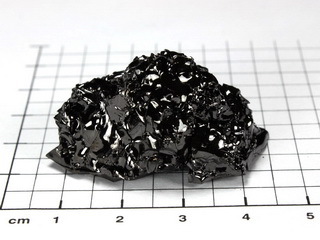 glass), in electrical assemblies to absorb microwaves and inhibit photoelectrons and secondary electrons, and the use of high purity carbon (graphite) in nuclear reactors to moderate neutrons. 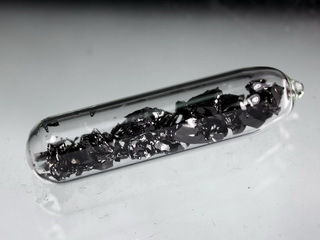 Diamond has unique properties, being one of the hardest materials known and with excellent corrosion resistance and thermal transfer. Industrial diamond is used in rock drilling equipment and abrasive materials. 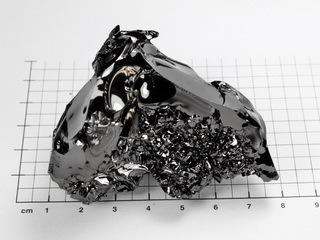 CVD diamond has been the subject of extensive research and development over the past several years and applications for this material are only just being realized. Carbon is a fundamental part of all life, it being a prime constituent of DNA. On average, the human body contains approximately 16kg of carbon in one form or another.